The OPERNLOFT of young music theatre in Hamburg is the Opera House for children, young people and Operneinsteiger in the Hanseatic City. Here singers Yvonne Bernbom and Mohamed Rahardt making musical theater of a fresh kind: with own Opera versions in unconventional productions, they attract open-minded audience of all ages. With snazzy formats such as OPERABREVE,» Opera in short «, Ting ' seduce her Opera and Opera for children including those who previously didn't go to the Opera, to Mozart and Wagner.» Equal to double pleasure seduce the combined programs of series DinnerOper: match to the tasty buffet there is concert delights with Arias, songs and operetta hits. 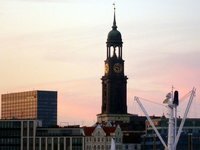 It all takes place in one of the most extraordinary venues in Hamburg: in the OPERNLOFT. The room decorated in the colours of red, black and white has a special atmosphere that perfectly suits the young charm of programs through its spacious loft character. In the OPERNLOFT, it can materialize the ideals of young music theatre Hamburg (JMH) fine. First: With Opera you can not start soon enough. Therefore, the JMH has focused on Opera for children. Secondly, Opera is exciting. «The JMH convinced young people and adults in 90 minutes - with OPERABREVE, the» Opera in short «.» Third, Young Opera has quality. In the JMH, all parts are sung by young, professionally trained singers. The productions and the facilities follow a contemporary aesthetics, which leaves room for the imagination of the audience with clear images. In short: The JMH exemplifies everything that makes it fascinating Opera - only current, shorter and everyone can understand.